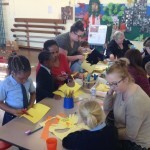 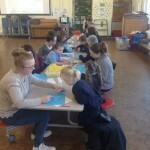 Of Easter crafts and activities. 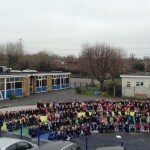 What a busy term they have had! 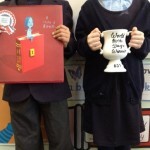 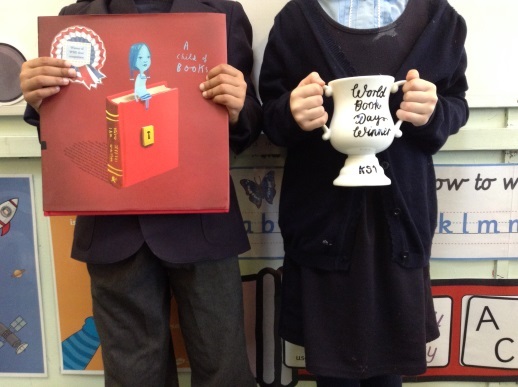 All classes participated in the World Book Day challenge to “Do Something Booky”. 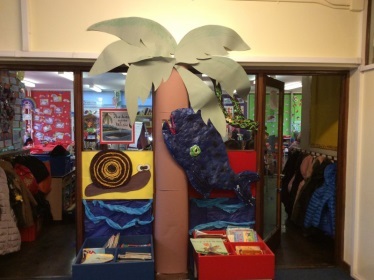 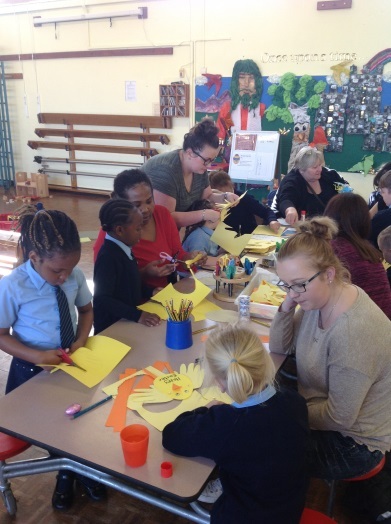 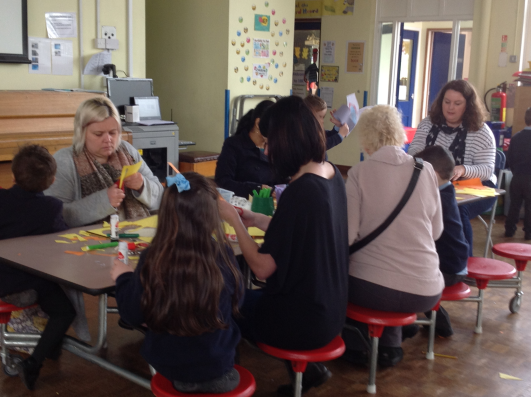 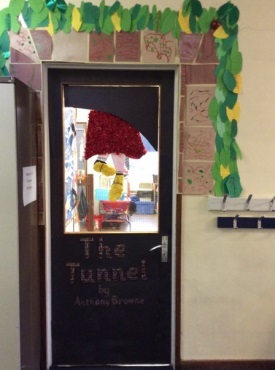 Character hunts, bedtime stories and door decorating were just a few of the fun things going on in Key Stage One. 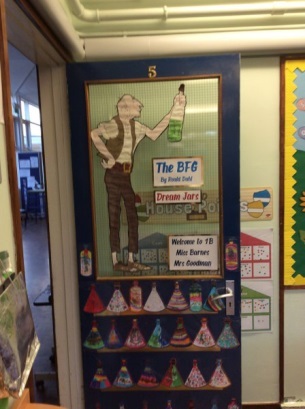 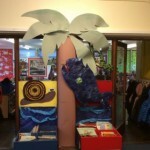 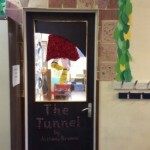 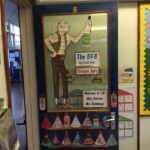 1B’s BFG themed door was judged to be the winner in Key Stage One. 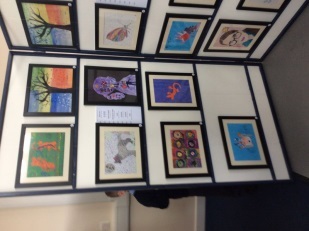 As you can see there were lots of great entries! 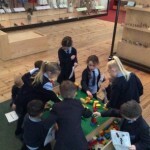 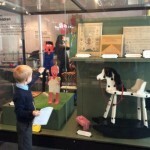 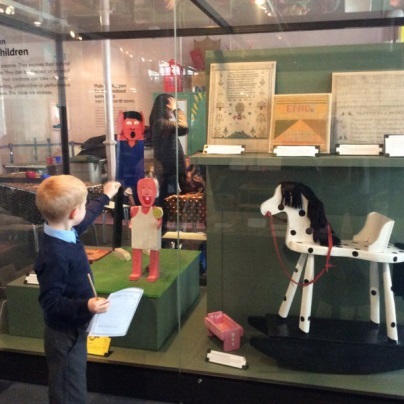 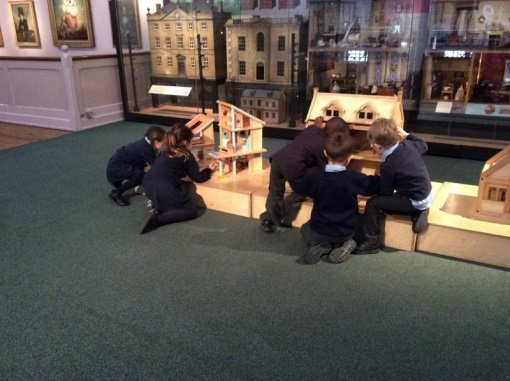 Year One went to the Bethnal Green Museum of Childhood as part of their History topic on Old Toys. 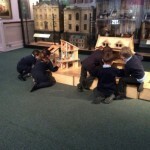 As you can see the museum offered them a great hands on experience! 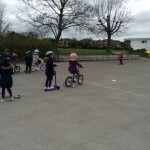 All of the infant children participated in Bike it sessions in the week of 20th March. 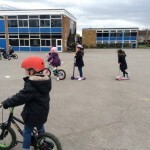 Fun and lessons on bikes and scooters for all the children! 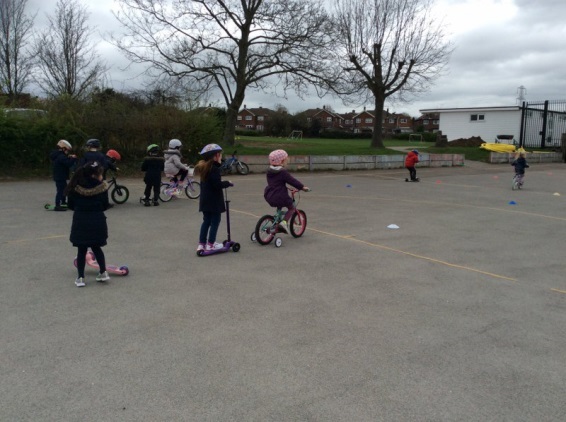 Despite the changeable weather ALL the children got active on 2,3 or 4 wheels! 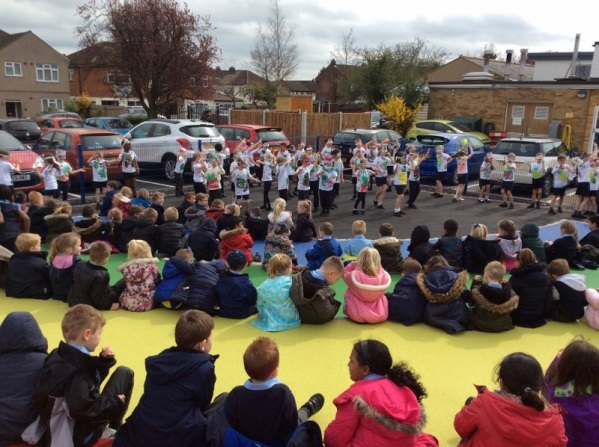 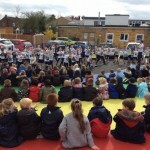 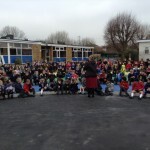 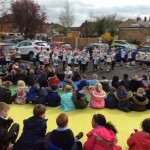 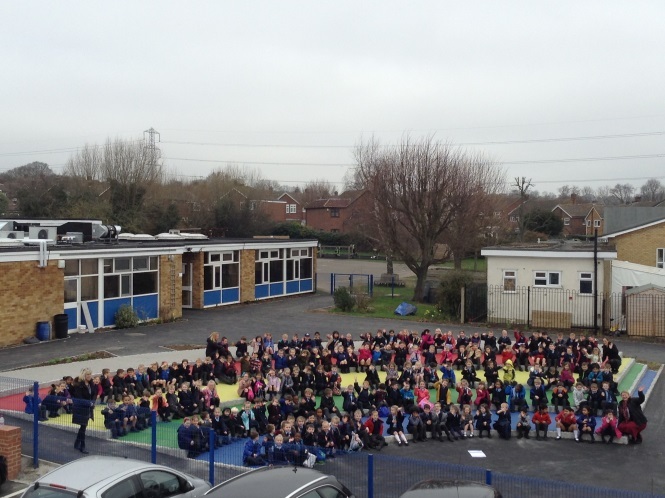 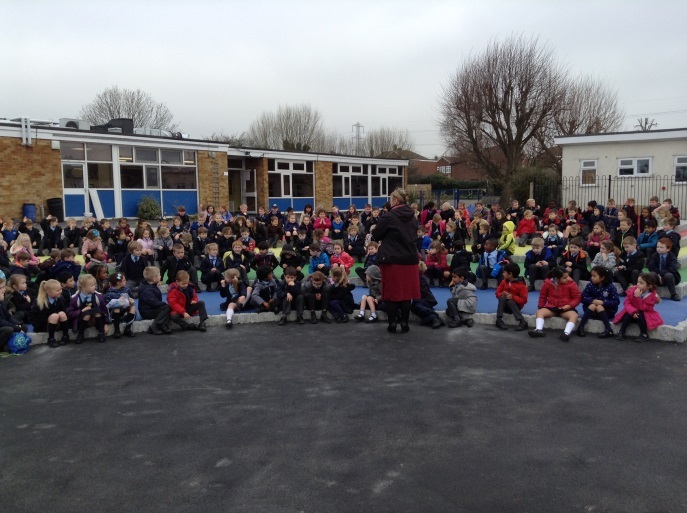 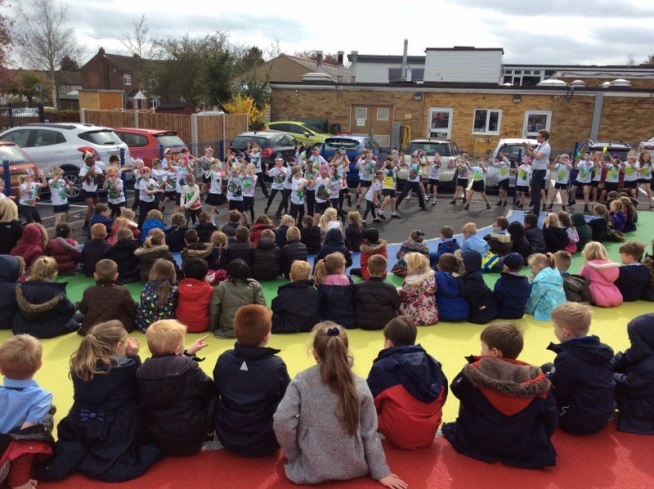 Everyone in KS1 was very excited to have assembly outside on the new coloured steps and stage. 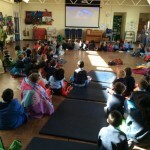 We sat in our house groups and had our WOW assembly. 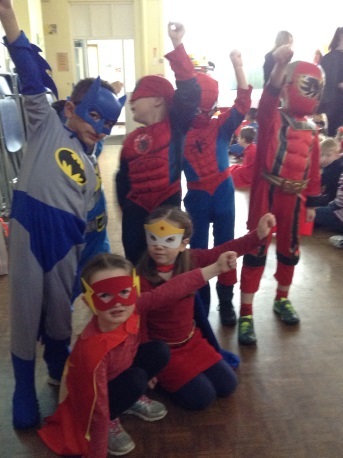 Red nose day/Dress like a superhero was a HUGE success! 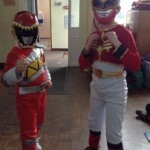 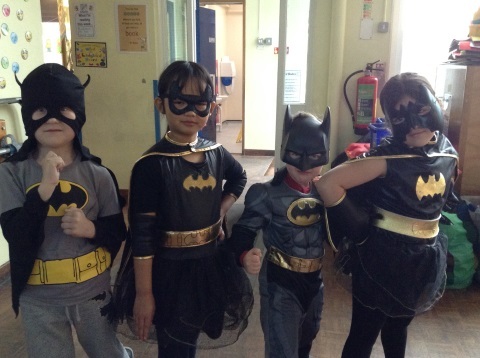 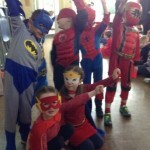 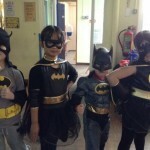 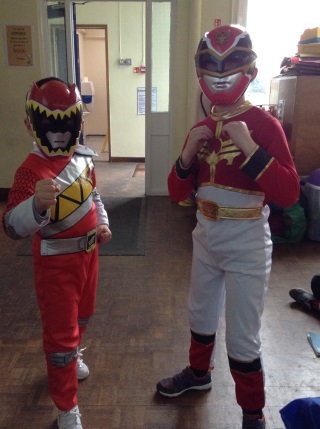 As you can see we had a school full of heroes ready to save us from all calamities! 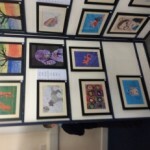 The final event of the term was the opening of the Engayne Art Gallery. 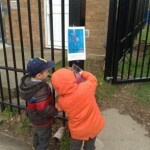 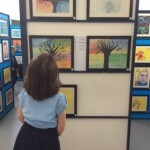 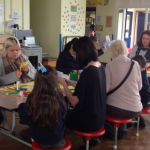 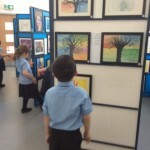 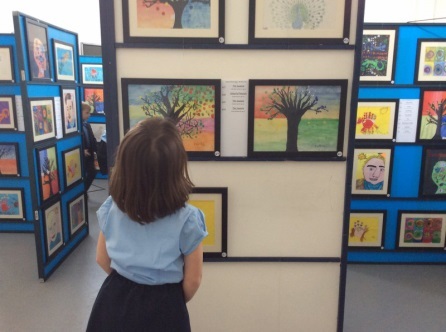 All the children really enjoyed seeing their paintings framed and displayed as a work of art! 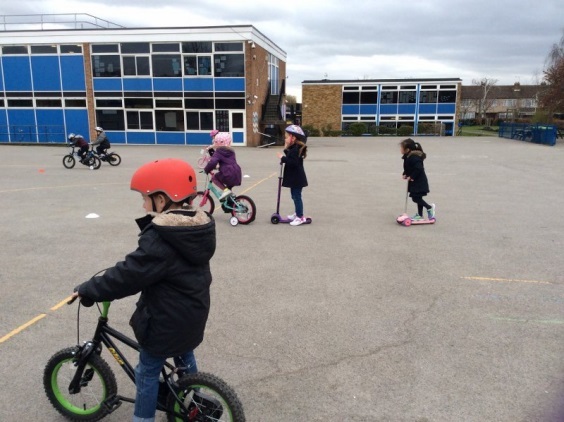 We are looking forward to more fun and adventures in the Summer term. 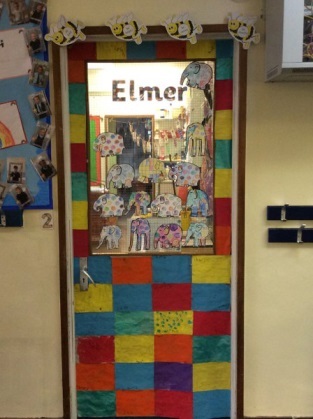 This term, Year 3 have been learning all about Patterns from a variety of cultures across the World. 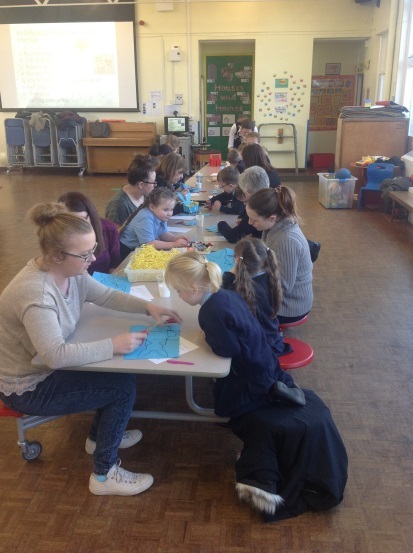 First, we created Rangoli, where we repeated the same design using rotational symmetry. 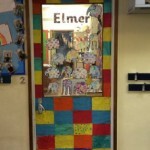 Then, we imitated Aztec fabric patterns by repeating rows of brightly-coloured triangles and rhombuses. 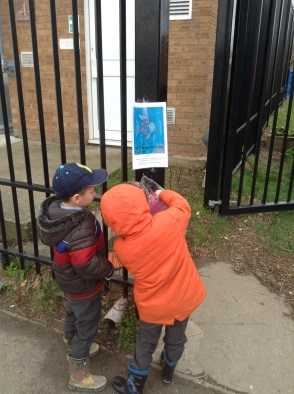 Finally, we produced Aboriginal art drawings on fabric, where we used repeating dots to form animals, but made sure to surround them with colours which reflected their habitat. 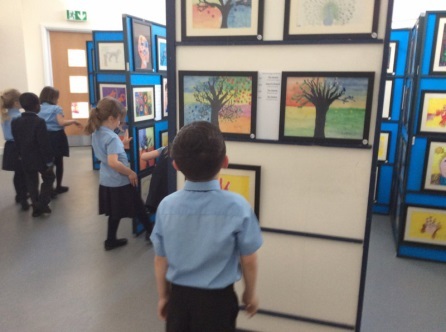 We have found the similarities and differences between these art forms, from three very different cultures, very interesting.